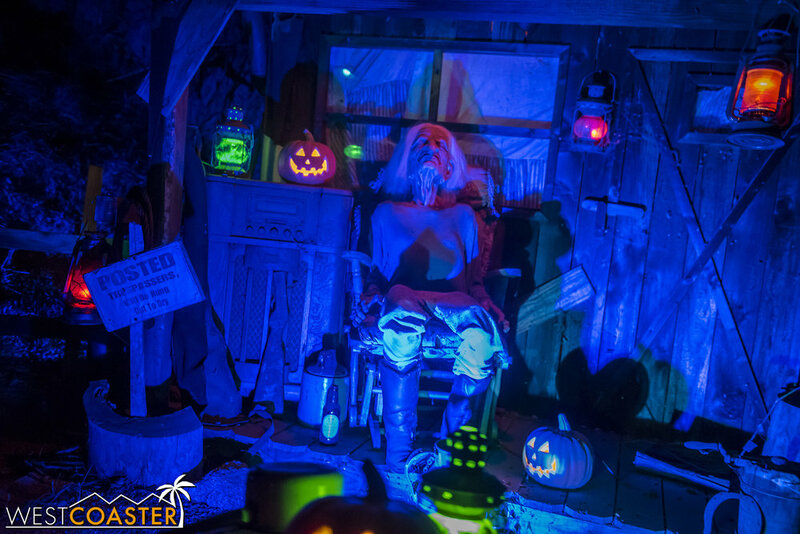 In a testament to how many fantastic Halloween attractions exist in our Southern California hotbed, there gets to be a point where we are visiting so many haunts that our backlog of reviews builds up. Count this as one of the attractions I wish I had been able to post earlier. 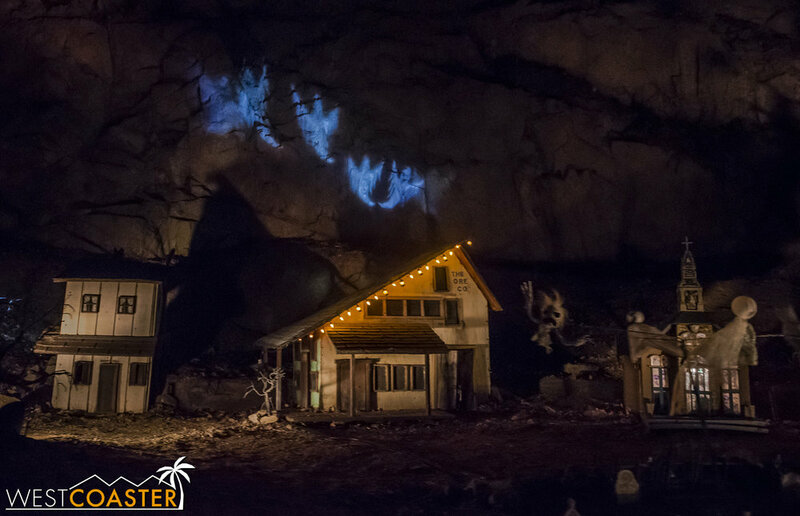 During October, the Los Angeles Live Steamers Railroad Museum in Griffith Park plays host to an attraction that represents not only one of the best family-friendly haunted attractions around, but also one of the best overall. Ghost Train is the collaborative and Herculean efforts of the L.A. Live Steamers railroad club—a model railroad ride through a series of carefully and deeply themed spooky environments done in a charming, wondrous manner that really channels the whimsical and mystical spirit of Halloween. 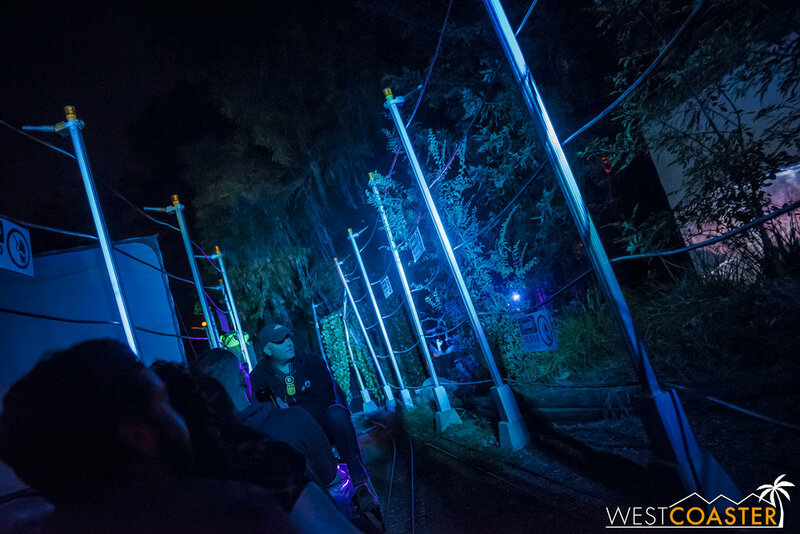 Ghost Train returns this year with a lot of familiar scenes! Radiation Springs is still one of my favorite things, for the absurdity of itself. Although this attraction has been around for over a decade and a half (save for a hiatus year in 2016), we only visited it for the first time last year. And what a treat we got! 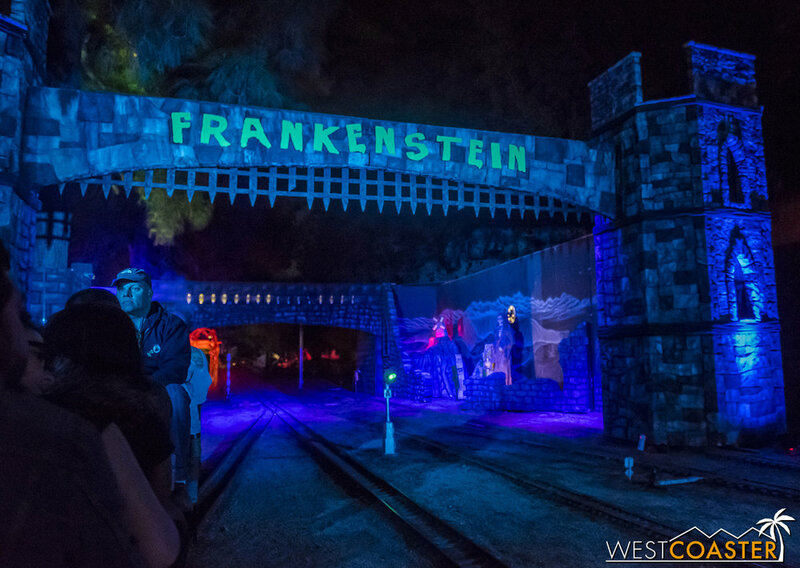 Riding aboard 1/8 scale model trains, we enjoyed an over 23 minute ride through over 30 Halloween scenes, with themes ranging from ghost towns to old mines to haunted pirates and clowns and classic horror monsters and aliens and more! 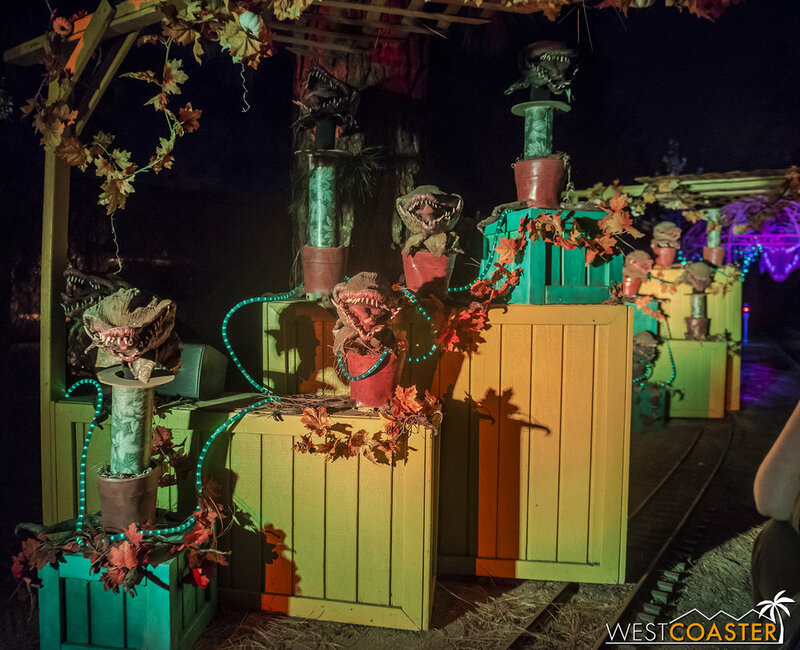 Painstakingly arranged by dozens of L.A. Live Steamers volunteers, the scenes featured such impressive moments as a fire-belching dragon, bickering animatronic witches, spooky and fogged out graveyards, giant and enthusiastically crooning man-eating plants, and more. Coupled with a fun soundtrack featuring a variety of recognizable Halloween tunes and professional theatrical lighting illuminating sumptuously cast scenes, and the result is a mesmerizing and captivating attraction that will amaze children and bring back the kid inside of adults. Little Shop of Horrors makes a feature. 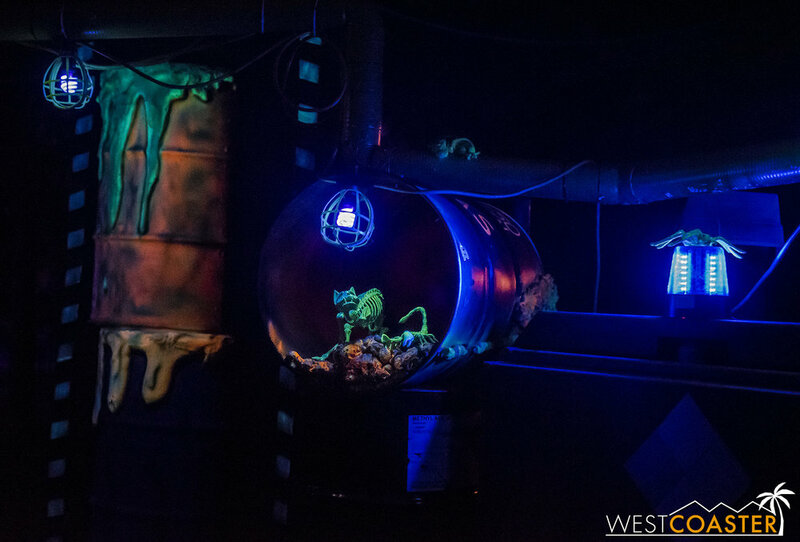 This year’s Ghost Train features most of the scenes and moments as last year, plus a few additions in the form of a spooky troll forest, steampunk dystopia, and expanded dinosaur section. The slow moving train cruises through each scene at a leisurely pace, allowing guests to take in the details while keeping on the move. There are a few scares on Ghost Train, but they are entirely child-appropriate and likely scary only for smaller children beginning or not yet in elementary school. There are no live actors, no pop-outs or hard jump scares. Just a few sound-based startles and air blasts. As I described it last year, Ghost Train is “Haunted Mansion scary.” A few spooks and startles, but overall pretty gentle and in no way meant to intimidate. This is an example of Monsters Inc. gone bad. The strength of Ghost Train lies in its beautiful and immersive environments that conjure up classic sentiments of Halloween. There is a passion and soul that has been sewn into this attraction by the tireless efforts of the volunteers, many of whom use their real life regular day job professional experience to lend technological, programming, and installation assistance for this sprawling attraction. Ghost Train harkens back to the first appeal of Halloween for all of us—that ghostly, eerie, sort of ominous but ultimately safe and fun style of horror that has us smiling when all is said and done. There is a timeless appeal that touches the love of Halloween that both young and old can relate to. New for this year is an area called Dinoland U.S.A. Clearly inspired by Jurassic Park. And a dark forest of evil trolls, and later, zombies, awaits Ghost Train riders. Ghost Train continues its run tonight, Tuesday, and Halloween night, from 7-10pm. Admission is $20 per person if purchased on site (though such guests will have to wait in the entire line), or $25 when purchased in advance only (with access to a shorter advanced purchase line), or $30 for an express pass that guarantees a maximum wait time of 30 minutes. Given that lines do sometimes stretch up to a couple of hours or more, it is recommended to buy in advance! 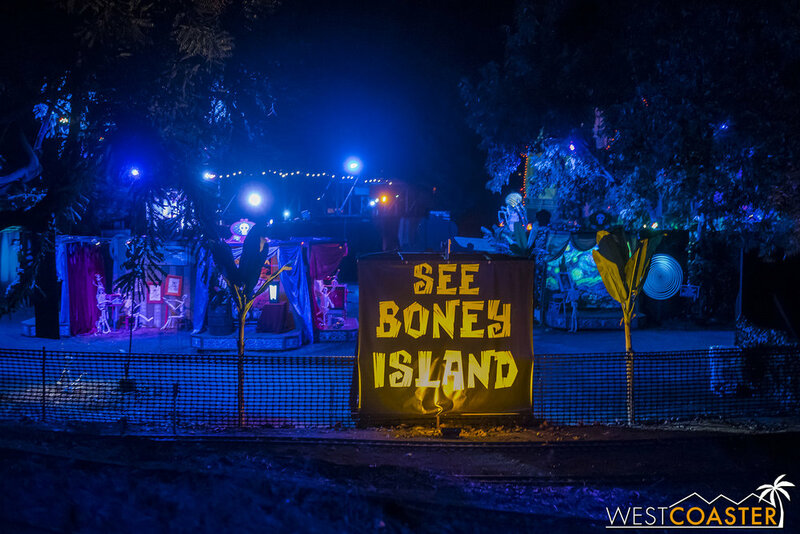 The train winds around Boney Island near the end of its run, giving guests a glimpse of the neighboring attraction. 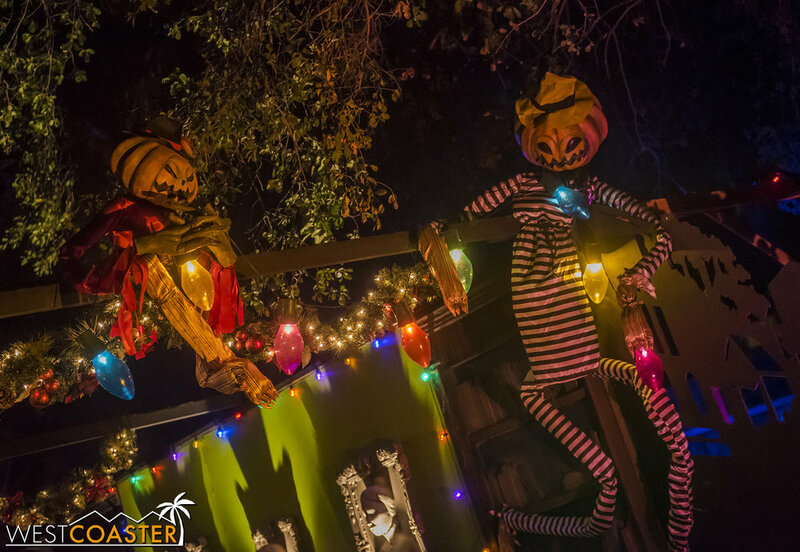 Ghost Train is a wonderful combo to partner with nearby Boney Island, which is a separate admission but similarly enchanting and family-friendly. The far end of the Ghost Train course even loops around the Boney Island premises, providing a nice preview and advertisement for the former Sherman Oaks home haunt gone pro. Ghost Train once again delivers a wonderfully delightful experience that’s great for the family or for demographics of all ages who simply love Halloween! There’s still time left this Halloween season to visit. 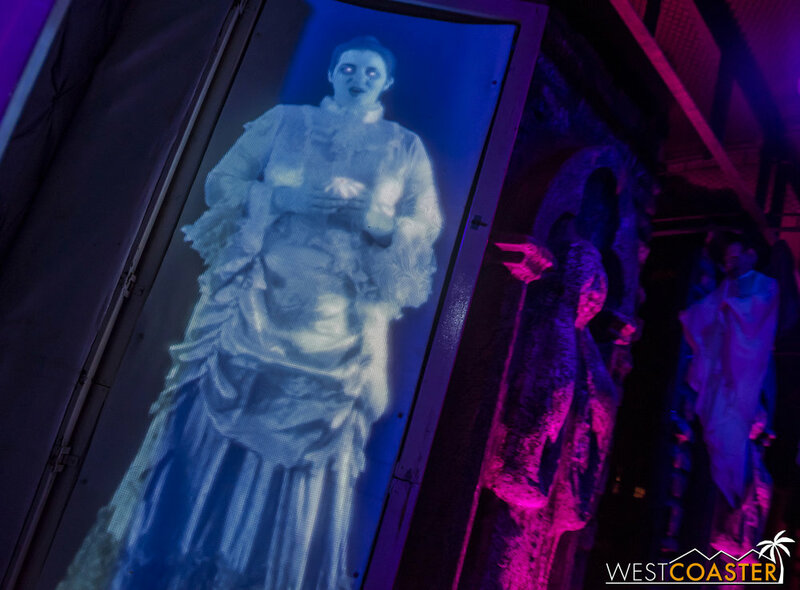 Check out Ghost Train tonight, or on one of the last two nights of its run! 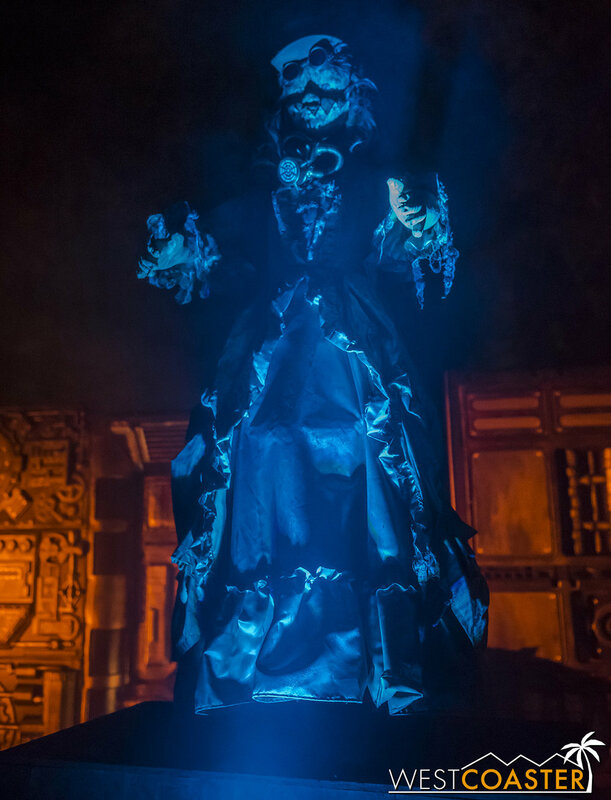 It’s a top tier attraction for the Halloween season, and wonderful for guests of all inclinations!